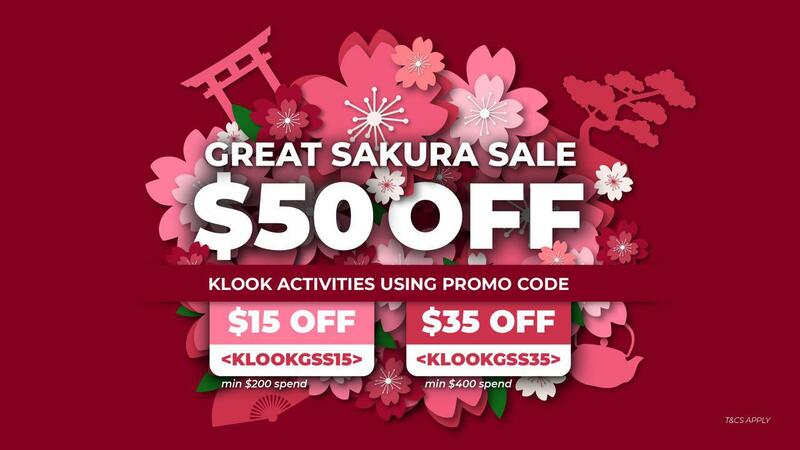 Save S$35 on your Korea trip this spring with Klook’s Great Sakura Sale! Details at the end of the post. 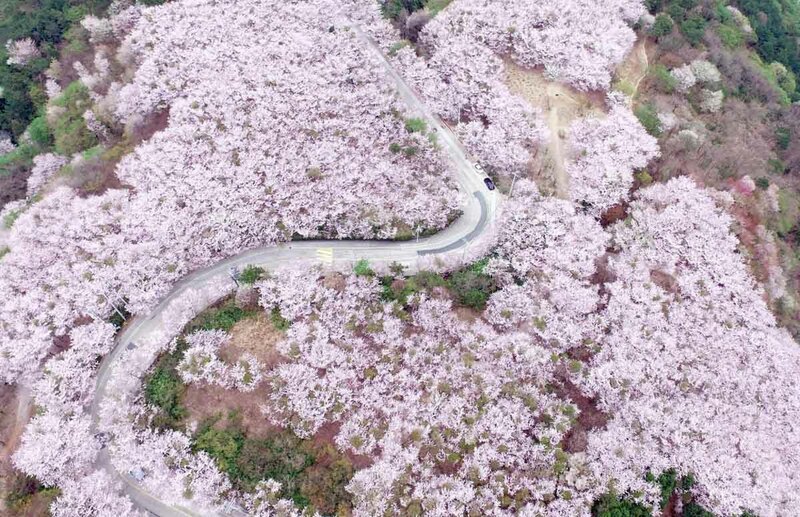 Many think of Japan when it comes to cherry blossom vacations, but in the region sits another country that sees stunning floral blooms every spring — South Korea. With blooms lasting for only about 10 days, catching the cherry blossoms in South Korea involves both careful planning and lots of luck. 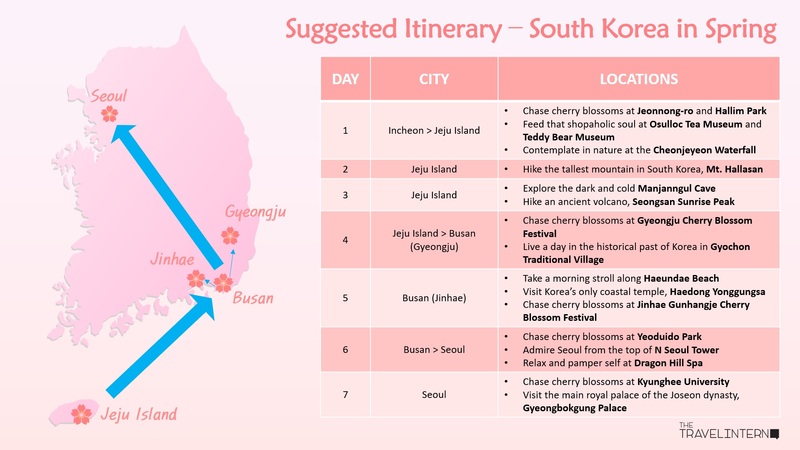 To help you out with planning the perfect cherry blossom trip in South Korea, this guide will cover everything from pre-trip planning to FAQs of cherry blossoms in South Korea. *Pro-tip: Bookmark this guide for annual updates on the latest forecast in South Korea! 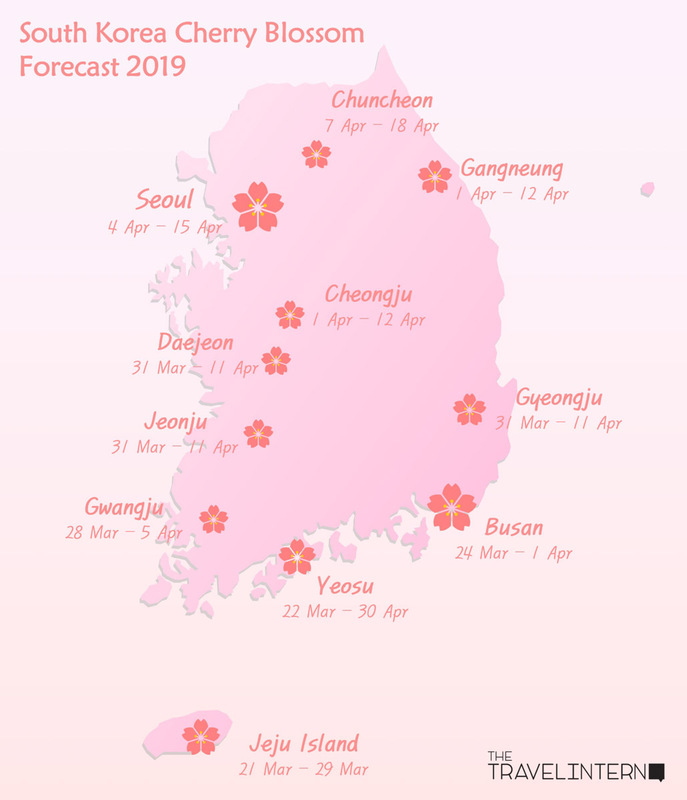 South Korea’s cherry blossom forecasts typically get released in March annually. Based on historical trends, flowers start blooming in late March to April before wilting in early May, depending on the location. 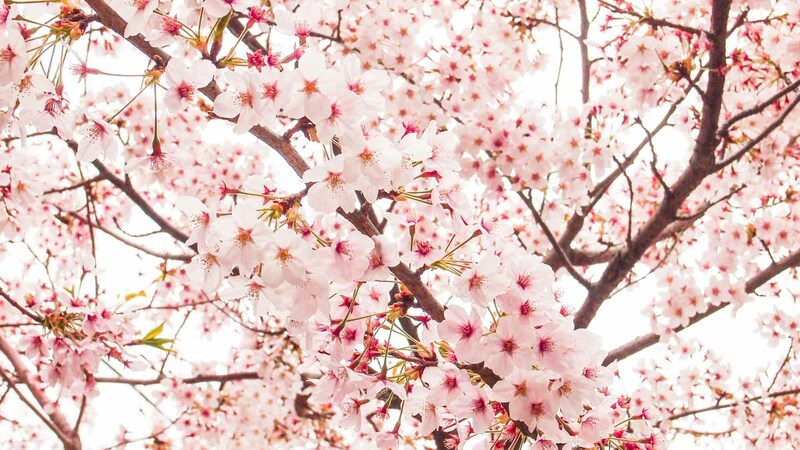 Cherry blossoms start blooming around 20th March in Jeju Island — the southernmost part of South Korea. If you’re planning to hit a few cities, start from the south and plan your route northwards according to the bloom patterns. 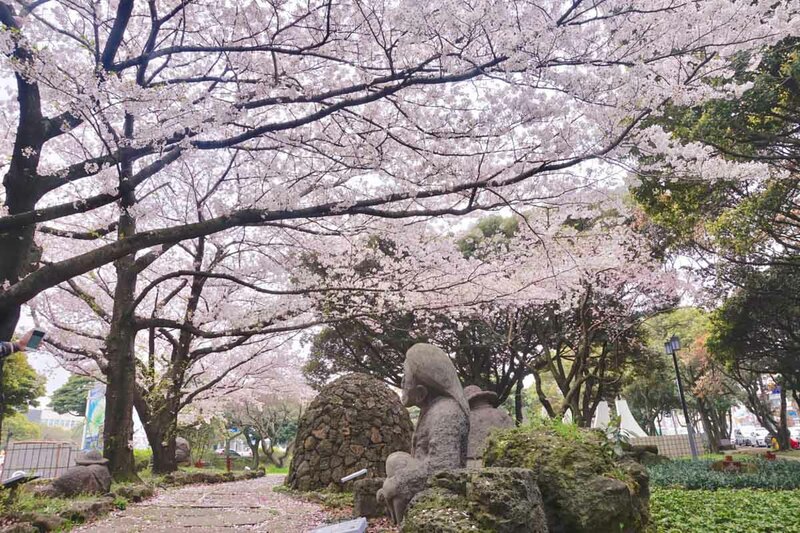 Jeju Island is home to a native species of cherry blossom known as the Jeju Flowering Cherry (previously known as King Cherry). 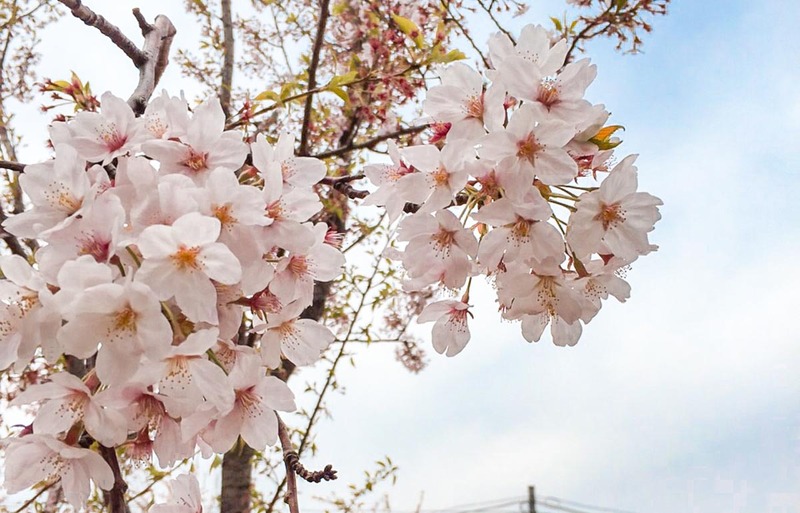 With slightly bigger petals than the ubiquitous Yoshino cherry species found in Japan, the Jeju Flowering Cherry was once misidentified as just another Yoshino until the late eighties. Today, many visitors flock to Jeju Island during the months of spring to witness the blooming of the rarer Jeju native. 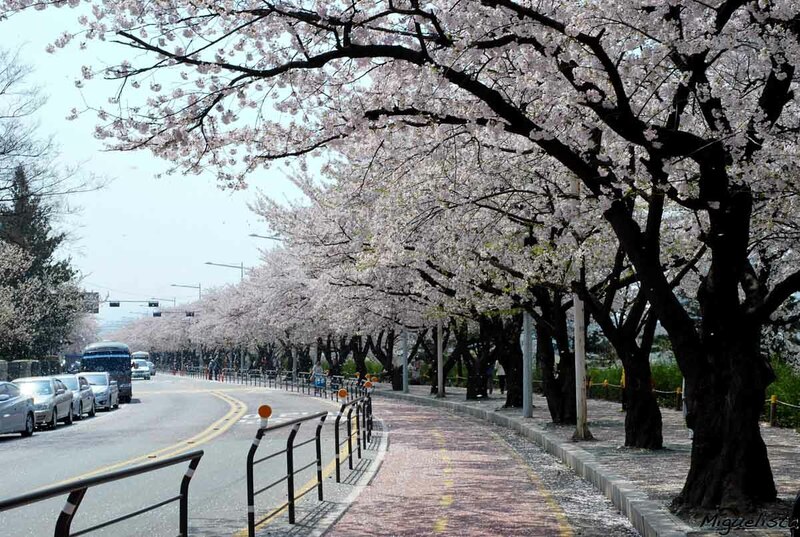 Festivals: The annual Jeju Cherry Blossom Festival (제주 왕벚꽃축제) is held end-March to the first week of April. Getting Around: There are three public bus systems in Jeju Island, and there are all as inconvenient as they are confusing. 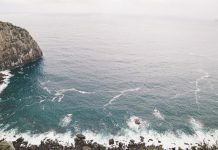 So unless you have a lot of time in Jeju Island, we’ll recommend you to skip cost-efficiency and just charter a private car to save both time and planning. There’s also a hop-on-hop-off Jeju City Bus that gets you to attractions around Jeju’s airport if you’re only in Jeju for a day trip. 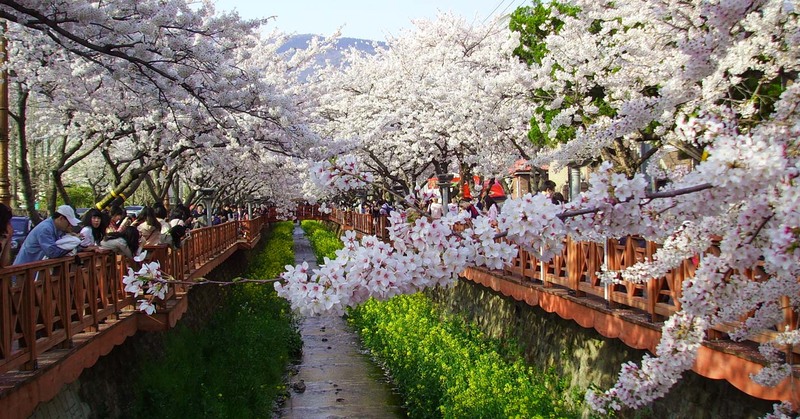 The biggest cherry blossom festival of the country would be the Jinhae Cherry Blossom Festival near Busan. 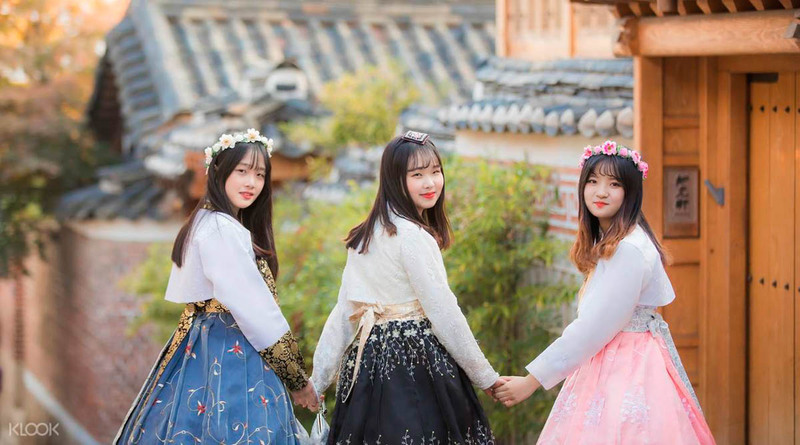 And if you’re travelling around Busan or the southern area of South Korea, there’s also Gyeongju, the old capital of Silla, where you can feast your eyes on cherry blossoms galore. South Korea is a pretty homogenous country and everywhere seems to be the same after a while, but Busan offers different views as a coastal city. If you’ve had enough of Seoul-searching, hop onto that train to Busan to experience a South Korea unlike any other. Getting Around: The Busan Metro system is perhaps the easiest way to get around the city. Ease your navigation around Busan by downloading the handy Busan metro app for directions. Jinhae town and Gyeongju city are both reachable by bus from Busan. Gyeongju city is walkable while Jinhae is easier explored on bicycles. 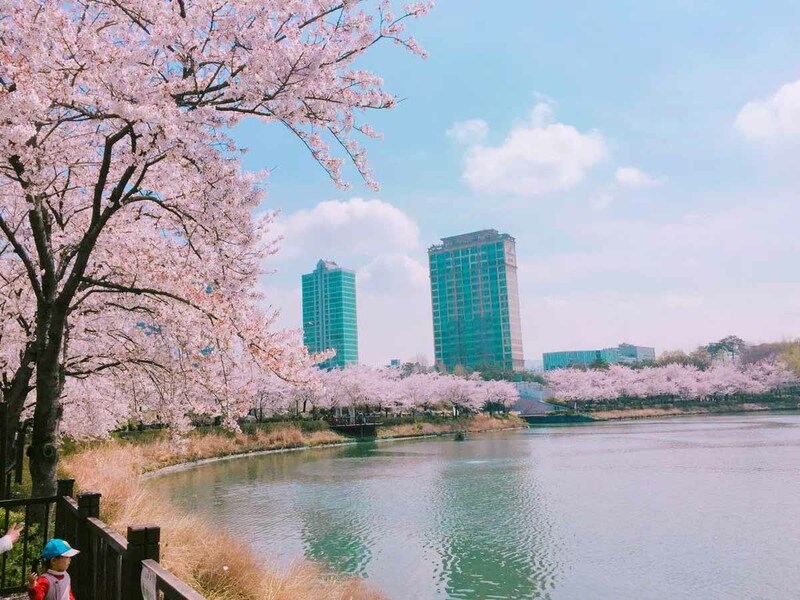 Several locations in Seoul come alive with not only speckles of pink blossoming from cherry trees but also when crowds visit during the months of spring. One of the must-see areas is Yunjunro Street, behind the National Assembly Building. 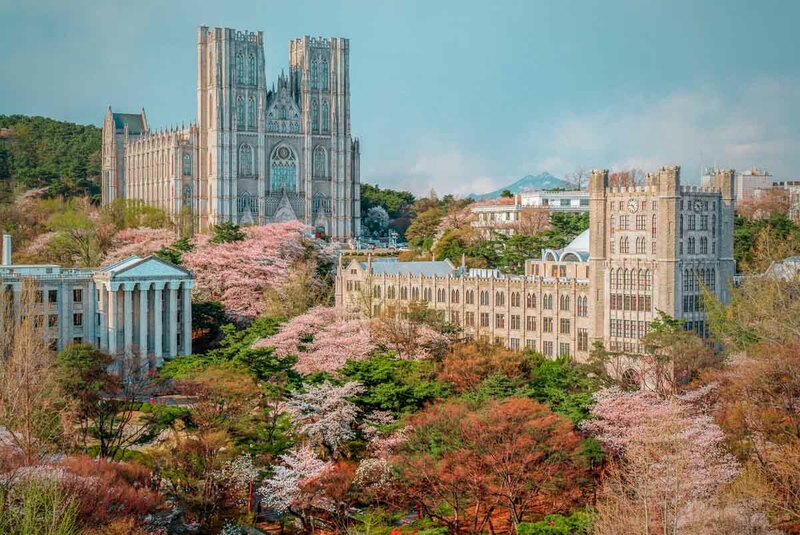 If you prefer a quieter area, Kyunghee University is a surprisingly beautiful location for cherry blossom viewing too! 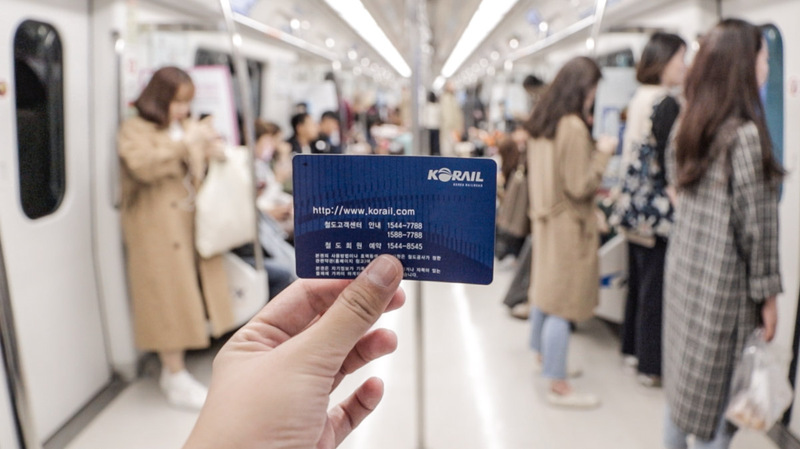 Getting Around: The city of Seoul is accessible via the Seoul Metro, and we recommend getting the Discover Seoul Pass that’s both a transportation card and also an all-access pass to 55 of Seoul’s hottest attractions. Within Seoul: Public transportation within Seoul is pretty straightforward using just the T-Money card for subways and buses. Alternatively, get the Discover Seoul Pass that gives you free admission to 55 of Seoul’s hottest attractions for a period of 24 or 48 hours, which also doubles up as a rechargeable T-Money card. 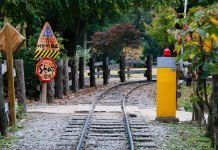 Explore South Korea beyond Seoul with the Korail Pass! Intercity Travels: For longer distances, the Korail Pass is a more value for money option. This comes with options for three and five consecutive days as well as flexi two and four days. The latter would be perfect for chasing cherry blossoms across multiple cities in South Korea! Navigation Maps: Google Maps don’t work well in South Korea. Download Naver Map on your smartphone instead to navigate around South Korea. 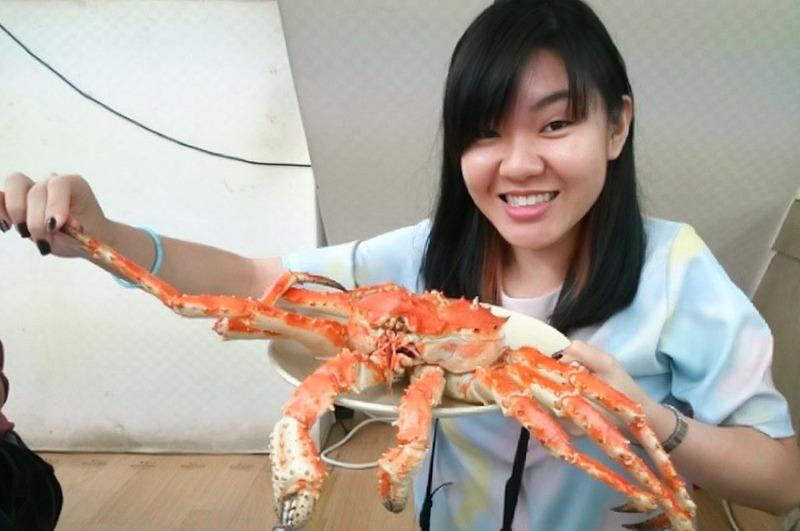 In the early spring, king crabs are still in season, and it’s the best time to splurge on this seasonal seafood in South Korea. While they are available almost all year round at Seoul’s Noryangjin Fish Market, the crabs caught off-season are less fleshy. These baby-like octopi aren’t exactly juvenile but are another breed of octopus with shorter tentacles. 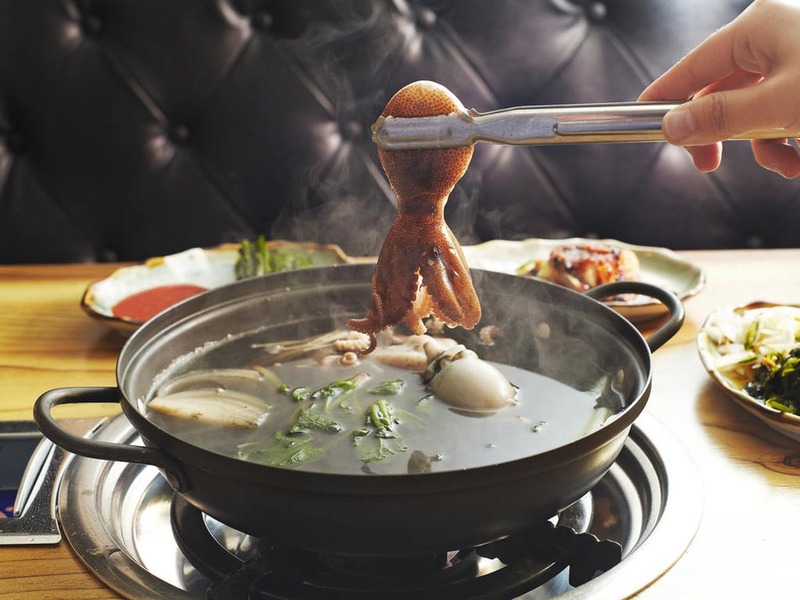 Jjukkumi can be enjoyed grilled, stir-fried, blanched or cooked in a hotpot. The best time to eat jjukkumi is between March and May as that’s the spawning season! 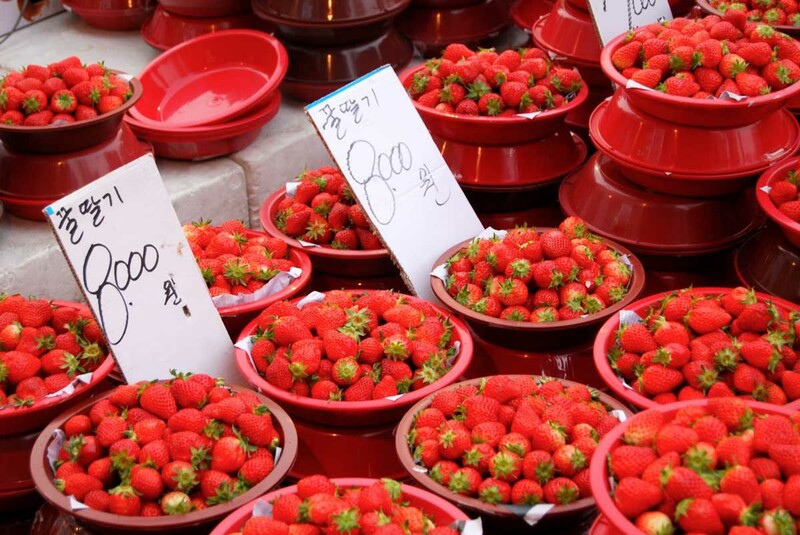 Korea boasts one of the sweetest and juiciest strawberries in the world, and you’re in for a treat to the best harvests when you visit South Korea in spring. The strawberry season lasts from late winter to early summer, and during those months, many strawberry farms allow visitors to pick their own strawberries at a fee. If you’re out to splurge this spring, spend S$600 and group your Klook purchases into two separate orders to enjoy BOTH discount codes for S$50 off! Read our 7D Korea Rail Itinerary to find out how to put them all together in one trip. 1) What do locals usually do during the Cherry Blossom season? 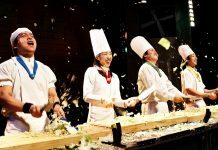 Similar to Japan’s Hanami, South Koreans also enjoy “벚꽃 놀이 (beot-ggot nori or flower viewing)” during springtime. This comes hand-in-hand with another activity — springtime picnic! 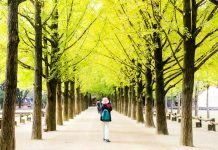 Public parks and gardens in South Korea will be busier than usual during springtime, whether or not cherry blossom trees are in sight. 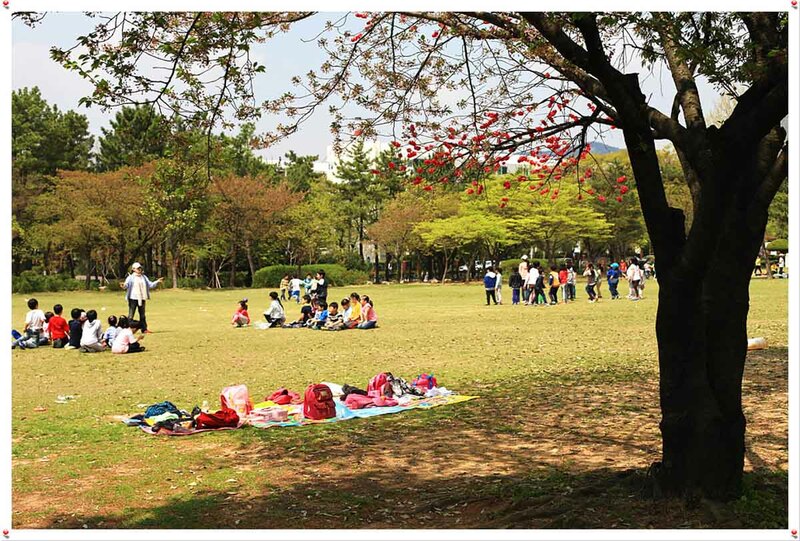 To South Koreans, springtime picnics are simply get-together time enjoyed with family and friends. 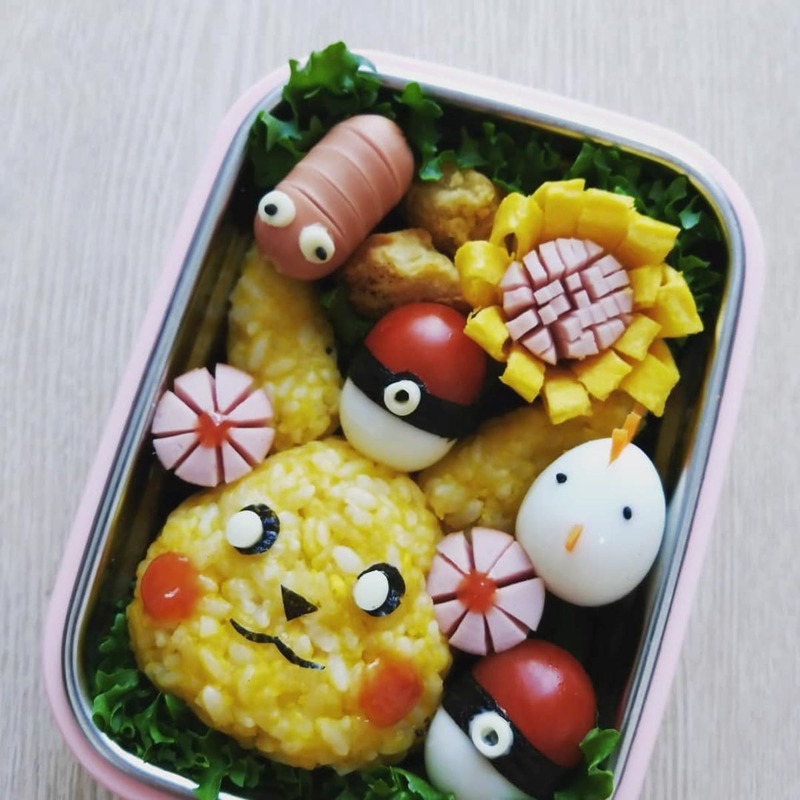 Mothers would dress their kids up and even prepare extravagant lunch boxes. 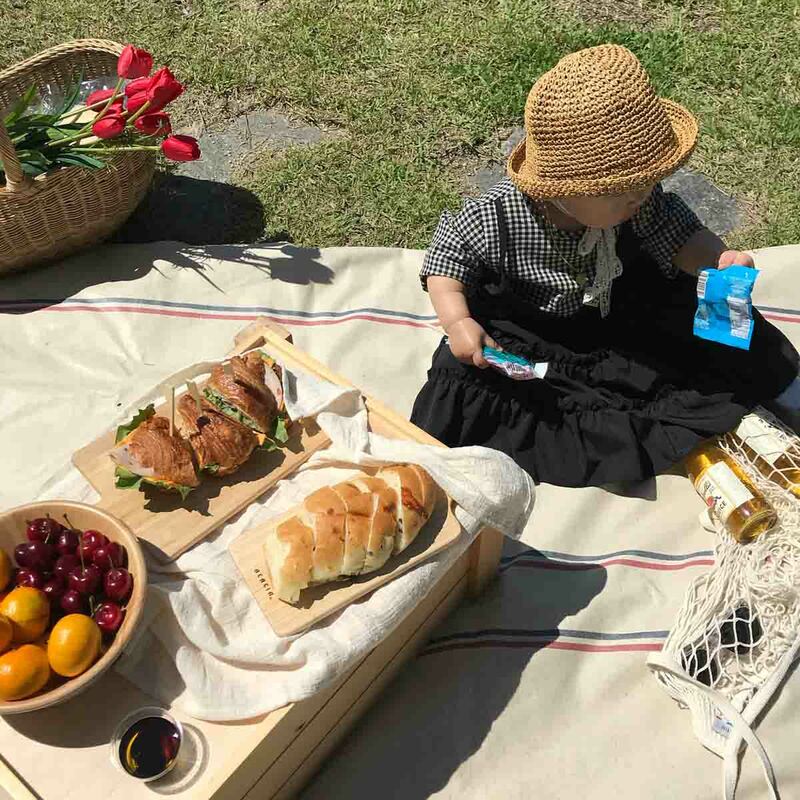 Other typical food items Koreans would prepare in their picnic baskets include gimbap, dosirak (Korean lunchbox), gyeran-mari (omelette roll), and even makgeolli rice wine and red wine! 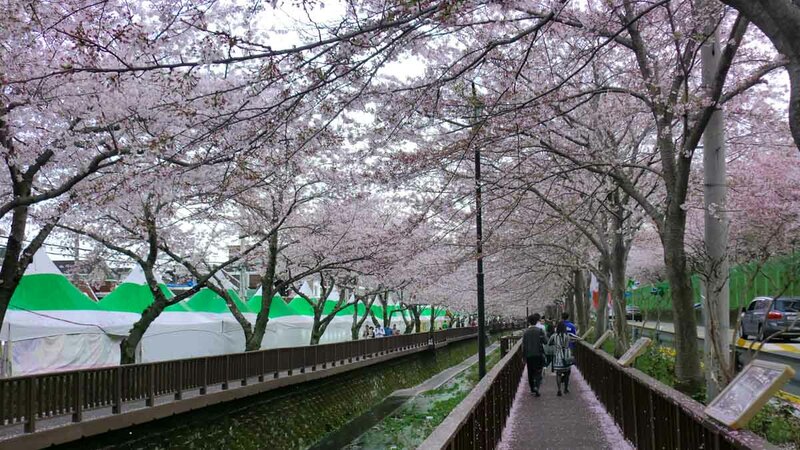 2) What’s a Cherry Blossom festival like in South Korea? Cherry blossom festivals in South Korea last from a week to a month and are often hyped up with makeshift markets, street performers and even staged concerts. 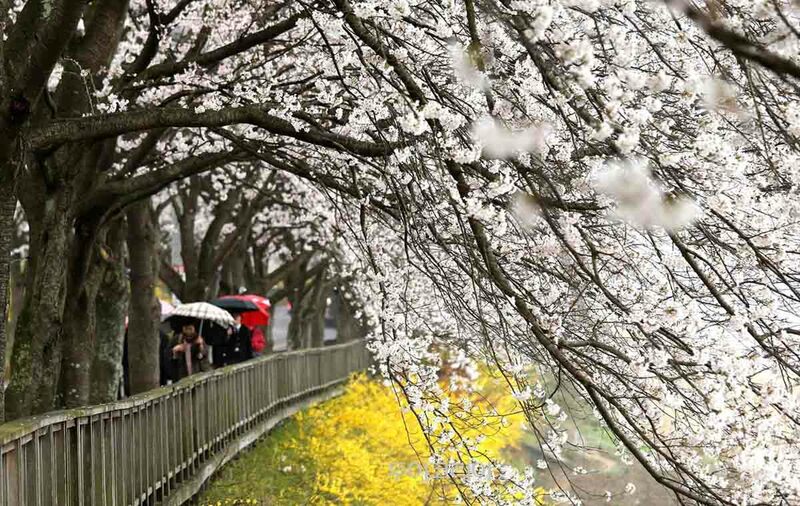 The overall mood in South Korea is livelier as soon as spring arrives. 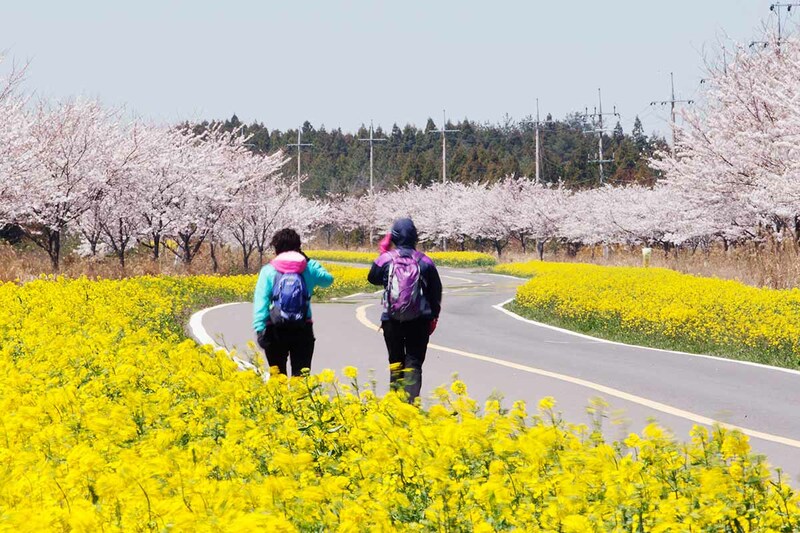 South Koreans even have a term “봄을 타다 (bom-eul ta da)”, which loosely translates to “ride the spring”, to represent a specific change of mood as spring arrives. 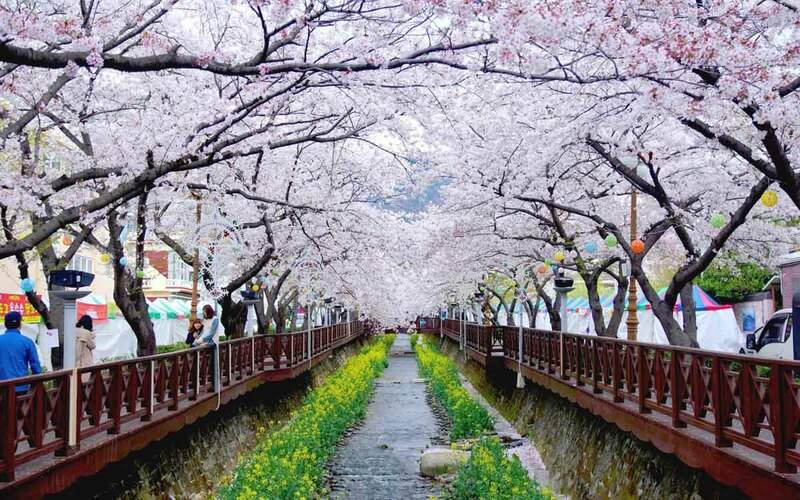 The fanciest cherry blossom festival of all is none other than the Jinhae Cherry Blossom Festival in Busan. There’s a slow speed sightseeing “cherry blossom shuttle train” that only operates during the period of the festival, and visitors can also expect fireworks displays on certain nights. 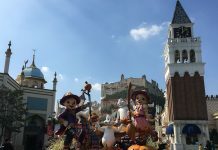 3) What should travellers be prepared for during this season? In South Korea, there’s a term “봄비 (bom bi)” that translates to “spring rain”. Though temperatures are generally climbing higher, light rain is expected to be quite frequent during springtime so pack warm and waterproof outerwear. There’s no need to bring along heat packs and umbrellas as those are sold at most convenience stores in South Korea. 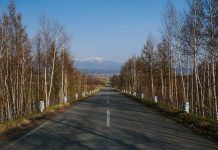 The first rainfall marks the end of the freezing winter and is also a signal that flowering trees will start blooming. Rent a hanbok (Korean traditional costume) and be one with the spring scene of South Korea. Between March to May is also when the Asian Dust Storm (황사) hits South Korea. Those who are prone to dust allergies might want to bring along anti-dust facial masks. 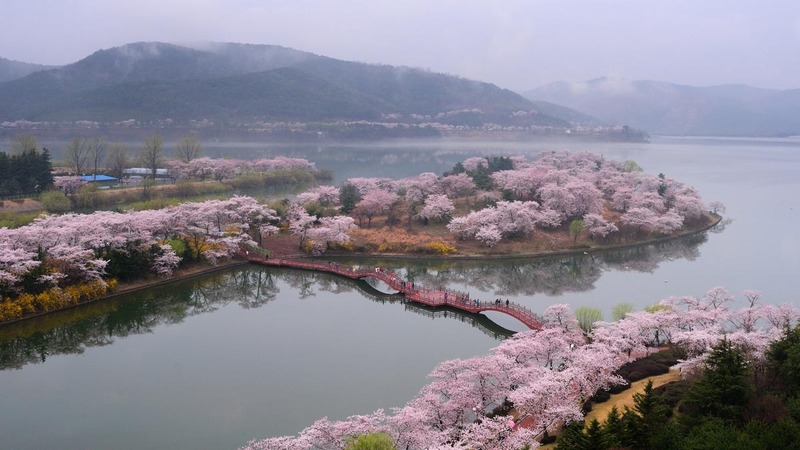 Know of any other great cherry blossom spots in Korea? Let us know in the comments below! Follow us on Facebook, Instagram, and YouTube for more travel inspiration! hi! just a quick question will still there be cherry blossom if i travel on May 16 to May 21? Hi Reena, I’m afraid it will be too late to view cherry blossoms in May, as most will be in full bloom from late March to early April.